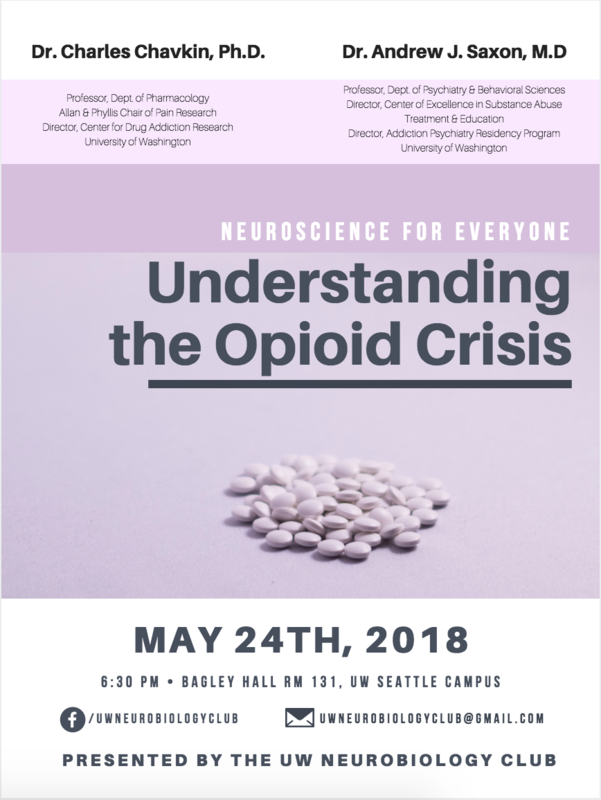 Join UW’s Neurobiology Club for the Spring Quarter edition of Neuroscience for Everyone! 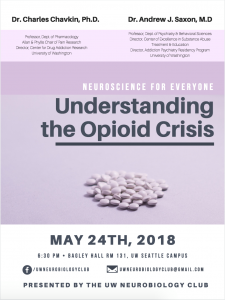 They are welcoming two outstanding professors from the UW to participate in a discussion surrounding addiction and the opioid crisis. This will be a discussion format panel, where you get to ask the questions and hear the details you want to know about the topics presented.